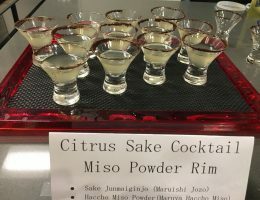 1) Combine the Sake and lemon juice. Citrus varies in intensity, taste and add a little more sake or citrus based on preferences. 2) Moisten the rim of the glass and press into the Haccho Miso, to create a "rim". 3) Serve on the rocks or straight up.